A small monthly contribution enables sponsors to give a child access to education and health care reducing their chances of illiteracy, poor health and poverty. The program is successfully changing the lives of children and their families and we are proud to support such an important initiative. Soon after IIMC began, they realised most people coming to their clinics couldn’t read the prescription and didn’t know how to get and stay healthy. Their lack of literacy, education and financial income meant medical problems were ongoing and hard to treat. It was clear that people needed at least primary education and this is how it started with ten sponsored children in 1993. After the first year, the results were very encouraging. All the children were healthy, clean and thriving. So health care and education ultimately changed the whole family’s situation and health. 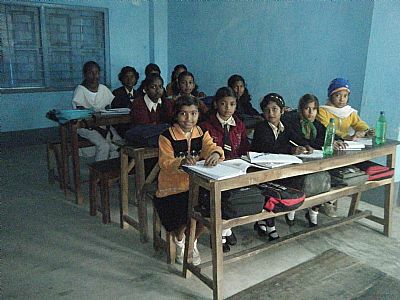 We now believe it is education, first and foremost, that will bring health improvement to the people of West Bengal. 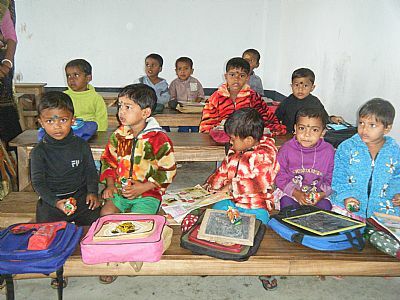 We believe that educating children is one of the most important ways of helping families break the cycle of poverty. Poor people have a preconception that school is not for them, that only children from rich families deserve to go to school. But we believe that all children have a right to go to school, and change their health and future. That is why we started IIMC’s sponsorship programme and why it continues to grow. By supporting us you can play a vital role in the life of a child that extends far beyond financial support. By writing to your sponsored child, you will see the difference your words of hope and encouragement can make in their life. If a child knows they are valued and supported, it helps them develop their confidence and dreams for a better future. We have found that children who are sponsored are happier and healthier, and by the time they finish school have the skills and ability to free their family from poverty and exploitation.